You have a website up? Great. And when users search your company’s name or for a very narrow set of search terms, you show up pretty high on the results. Also great. But what about the rest of the time? Organic web marketing involves developing a wide net for your services so that your site shows up in front as many people as possible. Cut Throat Marketing specializes in web design and developing the right content and design to make that happen. Why is this important? Because it doesn’t matter how many visitors you get if the pages they land on don’t seal the deal. The sloppy and outdated design makes your company look amateur. Don’t settle for anything less than a professional website as part of your online marketing strategy. 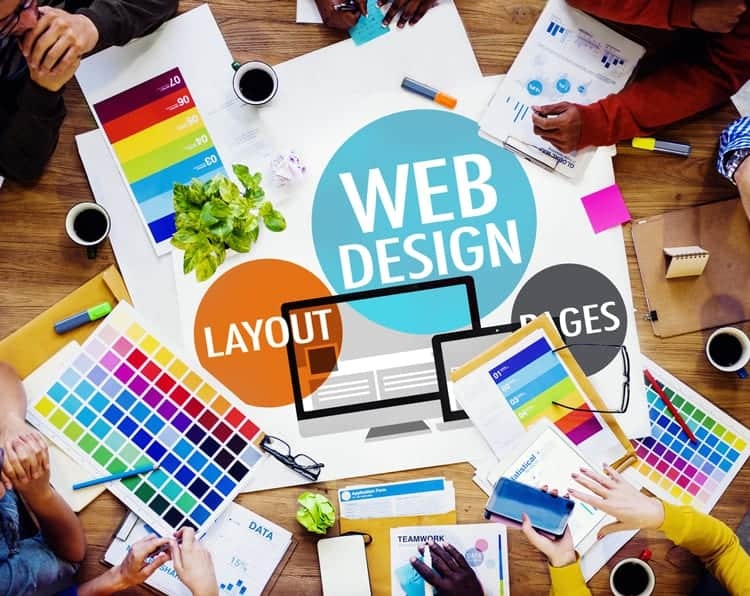 Our web development specialists will consult with you on your brand identity and goals, and propose a design and layout that remains attractive, consistent, and persuasive for visitors. Believe us: If your current site has problems, we’ll be honest in our assessment and provide a proposal for changes or an entirely new site. And, if you are starting from scratch, then we can help develop a design and layout that covers all the information your customers will need to call, click, or sign up. Our focus on user experience doesn’t stop with page layout. We’ve partnered with Big Eyed Bird designs to include extensive graphic design work on logos, color psychologies, and page layouts to ensure that your existing or potential customers land on a killer site. And we develop responsive designs for desktops and mobile devices as well. More and more people stick with smartphones and tablets, and we produce mobile-friendly designs that look as good on a wide-screen monitor as they do on a wireless tablet. There is nothing more important than cultivating a passive, organic marketing campaign built on search engine visibility. When we build a site for our customers, we use the latest techniques and best practices in Search Engine Optimization. We partner with experienced content creators that help us plan and implement keyword strategies, metadata design, and other SEO tactics that notify Google and Bing that your site is linked to a wide net of relevant, popular search terms. When we create a site, we bring together quality and SEO. Our pages are geared for high-volume online marketing for competitive search terms, but they read like natural, persuasive sales copy. So every page is tailored for your audience just as much as it is for the front page of Google search results. Remember: sites listed on the first page of search engine results for a given search term get an estimated 95% of total traffic. Don’t fall into that lower 5% because you didn’t invest in organic SEO online marketing. Having solid SEO content is only half the battle..
Search engines like sites that continually publish content. And, with more content comes more opportunities to target search terms and high-quality customers. 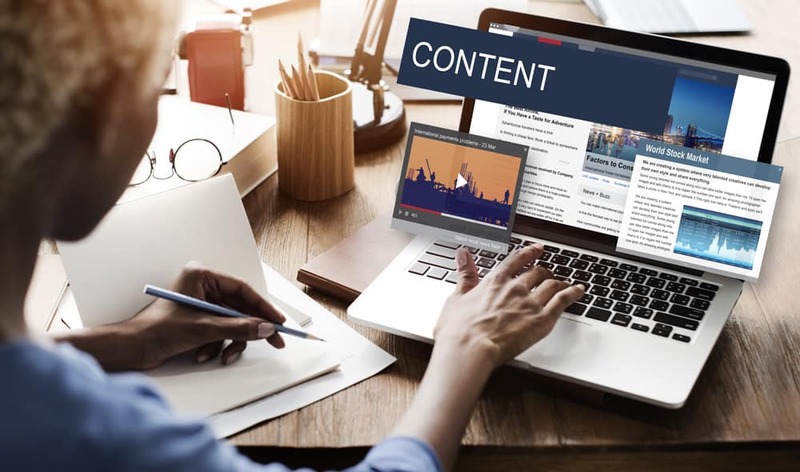 Cut Throat Marketing can implement a content strategy that includes blogs or articles released on a regular publishing schedule. These blogs will pertain to topics of interest in your industry based on market research and will include the same attention to SEO and informative content as all your main pages. These blogs can cover a number of areas, primarily focusing on discussions of products and services associated with your brand. And, once your site gains transaction, we can continue efforts to develop content to include more keywords and more diverse market segments.